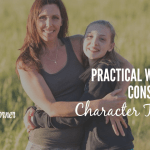 There are many challenges in parenting, but I think most parents would probably agree that consistency in character training is one of the BIGGEST challenges! 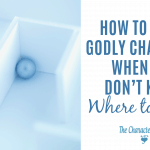 It is SO easy to gradually just start letting little things go, rather than dealing with them right away. Sometimes it’s because we are tired and not really aware that the kids aren’t listening the first time, or aren’t doing what they are told. Other times we may think “Oh, it’s just a little thing. I’ll let it go this time.” There is danger in that thinking. You don’t want to let those little weeds grow! 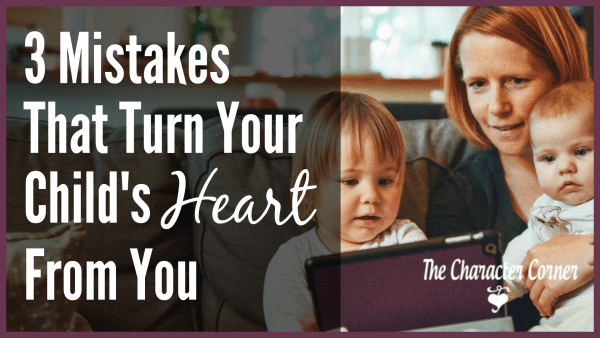 When we are inconsistent, we teach our kids to take chances. Then we get upset with their wrong behavior, when in reality we have caused it by our inconsistency. 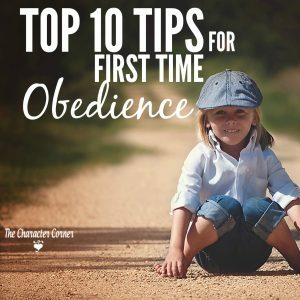 For example, when we repeatedly tell our kids to do something, rather than requiring them to obey the first time, they develop that habit. We can’t blame them for not obeying when we have trained them that way. 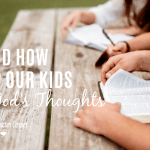 Our kids need consistency, and need to know that we mean what we say. They need to know what behavior is expected, and what behavior isn’t allowed. Then they need to know the consequences will always be the same for the wrong behavior. 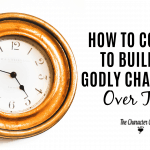 We struggled with that when our kids were younger, and developed our Character Charts to help us be more consistent. We used these along with rewards to encourage positive behavior. 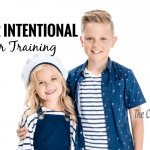 Character Badges is a well-thought out program of training our children in Godly character, incorporating Scripture into the lessons that accompany the badges, giving parents an easy to use plan for teaching character. A manual with detailed, simple to follow tips to help you effectively use the set. 1. Using it will promote and improve consistency in your child training. 2. 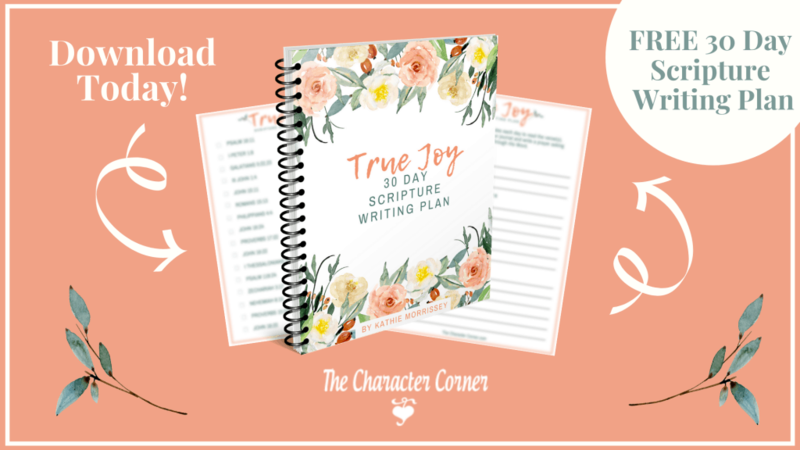 It is a Bible-based resource, with short stories and a related Bible verse for each of the character traits included. 3. It helps to keep parents accountable to teach and train their kids, and be aware of behavior issues that need to be addressed. 4. It helps keep parents calm, as they can simply refer the child to the consequence chart when a consequence is due. 5. It keeps parents looking for positive behavior (rather than just seeing only the bad), so they can reward and encourage them. 6. Each family chooses the consequences for the consequence chart, so you can choose ones which work best for your family. 7. 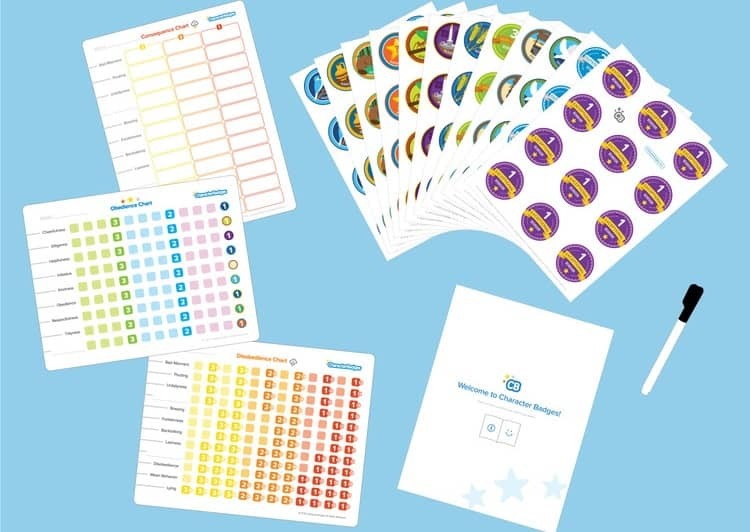 It’s a great way to quickly introduce your kids to 8 character traits in a fun way. 9. The character badges and rewards chart motivate kids to try to show right behavior and develop Godly character. 10. The whole system encourages Godly character, while also providing a system of discipline for wrong behavior which includes clear consequences. If you struggle with the challenge of consistency in your parenting (which often leads to anger), I would highly recommend trying Character Badges with your family. Use coupon code CHARACTERCORNER10 and save 10% off your purchase! 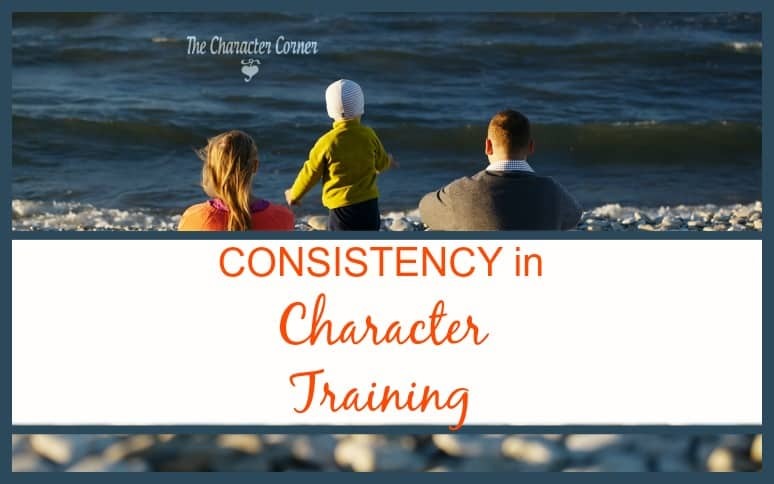 Character Badges will give you a tool and plan to help you be consistent in training your kids in Godly character, preparing them to better serve God and be successful adults. Why not get started right away? Don’t let those little weeds grow!